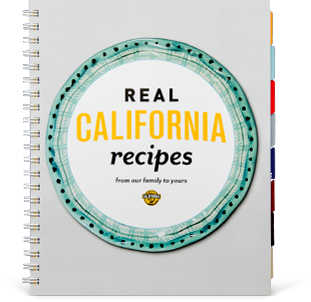 Scoop a 2-inch ball of California Chocolate Ice Cream, immediately place on a sheet tray and refreeze. In a small bowl, combine German chocolate cake crumbles, shredded coconut and pecan chips. When the ice cream is completely refrozen, remove from freezer and quickly roll in the German chocolate mixture. 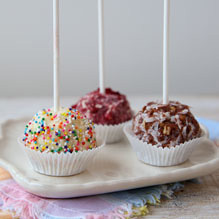 Insert cake pop stick and refreeze until ready to serve.